A few weeks ago I stumbled upon a set of shimmery watercolor paint, Kuretake Gansai Housekibako (Housekibako means jewel box), at a local art supply store, and I knew I had to give it a try! This set contains 12 beautiful shimmery colors - Turquoise, Emerald, Gold, Ruby, Pink Diamond, Coral, Amethyst, Sapphire, Pearl, Copper, Lapis Lazuli, and Black Pearl. Each color is beautiful, but the description says that it isn't suited for blending. I tried painting with them on watercolor paper and I thought they just looked like Wink Of Stella pens. I stamped and white embossed the scribble circles, which are from Circle Scribble Flowers stamp set, and watercolored them with Gold. Some leaves were painted with Emerald. Can you see the shimmer in this close-up photo? I'd like to try painting on dark color paper with these watercolor paint next time. The sentiment is from Spring Tulips set. It was heat embossed with Princess Gold embossing powder. I made my first purchase at Stamping Bella last month, then got to be busy and didn't have time to play with them. I finally got a little free time yesterday and made this card. Isn't he the cutest? I fell in love with him at first glance! And I love the sentiment, too! I colored him with Copics and cut out with scissors. The cityscape is from Paper Smooches and I used the Small Brick Wall Stencil to create the ground. I framed the scene and added several gold sequins to finish off the card. 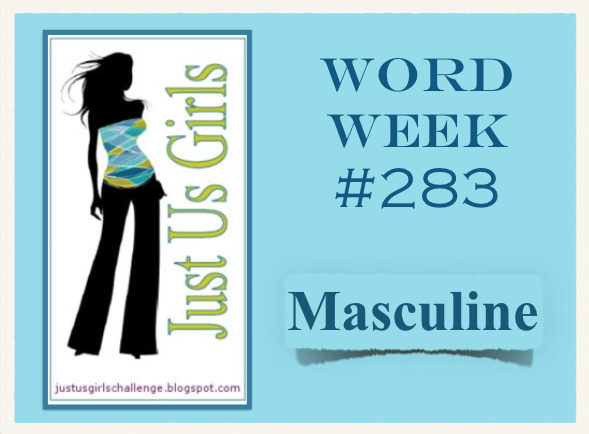 I'm entering this card to Just Us Girls challenge #283, which theme is "Masculine". Just popped in quickly to share a card I made using the You Make My Tail Wag stamp set and Die-namics. 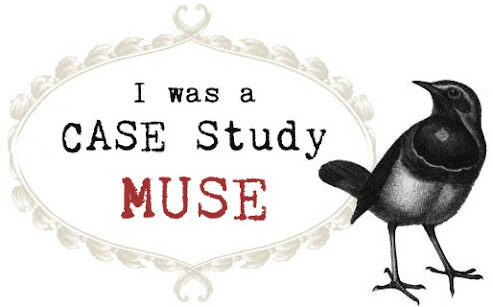 Actually I had a plan to share this card on my MFT New Product Launch post. However I changed my mind because this card used almost the same layout with a card I had shared HERE and I thought it wasn't fun. I used the Blueprints 23 Die-namics to cut the Grout Gray panel, which was stamped the Grid Background in Grout Gray, and the Brick Red scallop border. The sentiment board was also die cut using the Blueprints 23, and I added some jute code and a screw brad to hang it on.